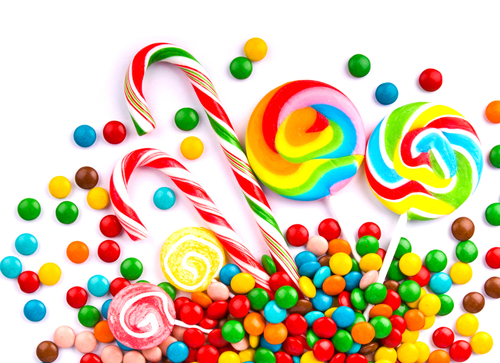 From Halloween until Super bowl, the holidays of sweet and savory junk food are upon us and it can be a tough time to just say no! If you’ve ever been pregnant during this tempting time of the year, you will know just how tough avoiding the temptation can be. Even if you haven’t, just know it’s tougher when you believe you are “eating for two”. This is not true by the way – you do need to eat and burn more calories when you are pregnant, but not enough for a whole other person. 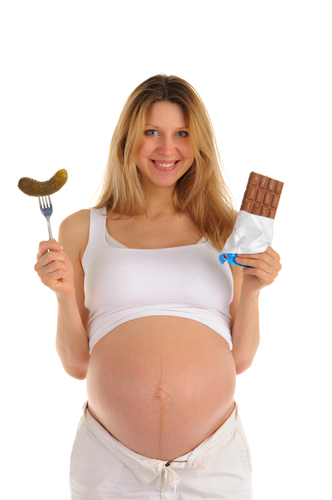 This is why Gestational Diabetes is such an easy trap to eat your way into. Most people know about Type 1 Diabetes (an autoimmune disease) and Type 2 Diabetes (a metabolic disorder); but not many people know what gestational diabetes really is; how you get it, how it’s treated, if it’s permanent or what affect it will have on the baby? Gestational Diabetes (GD) will usually go away after you deliver the baby, however, statistically, many of the women who get it, will develop Type 2 later in life (boo). Secondly, it is not entirely clear as to how it develops in the first place. It only appears in about 5% of American pregnancies. Unfortunately, Gestational Diabetes is on the rise. While it is linked to your weight, poor diet and lack of exercise, genetics and ethnicity play a crucial part in it as well. Gestational diabetes makes its appearance in the 3rd trimester and is usually treatable by a controlled diet and, sometimes, insulin. 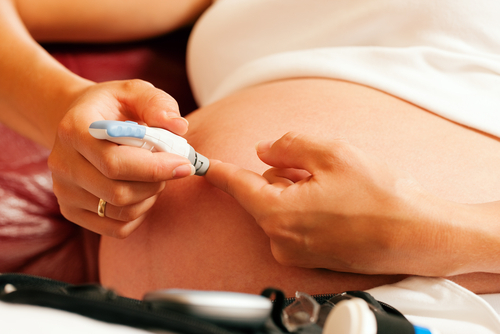 So what causes gestational diabetes? Those pesky pregnancy hormones are to blame and even though we make three times the amount of insulin when we are pregnant, it is sometimes not enough: the placenta (the organ that connects the baby via the umbilical cord to the uterus) is trying to prevent the mother from getting low blood sugar. In between the 24 to 28 week mark your doctor will have you do a glucose screening test. Within 5 minutes, you will be asked to drink an orange flavored sticky-flat-super-sweet-soda-pop-like substance (though I’ve heard rumors that it also comes in cola and lime flavors too). You would wait an hour and then do a blood test. Be sure to bring a book, magazine, phone or tablet because you’re not allowed to leave during this time. Your results should be available in a few days and if your sugar levels are high you’ll have to go back and take the three hour test. Luckily, only about one-third of woman who have to do the second test actually have GD. If it turns out that you are one of the unfortunate groups, you’ll probably have you keep track of your sugar levels with a glucose monitor and keep your results in a chart formatted journal. No candy, sweets or sodas for a while. You may also have to take insulin, however, this usually only happens during the time of delivery because some of the medications you may receive could increase your sugar levels. Also, just because you got GD during one pregnancy doesn’t necessarily mean you’ll get it for the next, especially if you keep up your healthier routine. GD doesn’t normally affect the baby; however, in some cases it can cause the following problems: Macrosomia (aka “big baby”) meaning any baby over 8lbs 13oz, which can make childbirth difficult, most likely leading to a caesarian delivery. GD can also lead to the possibility of the child developing Type 2 Diabetes later on in life. Another effect is that the baby could become Hypoglycemic (too much insulin resulting in low blood sugar) after birth. Your doctor will test for this. While jaundice is also a common condition, the likeliness of a newborn suffering from it is higher when the mother suffers from GD. Good luck during this tempting time of year and try to avoid the temptation if you can. The weather is cooler, the treats are abundant and all we want to do is cuddle up and eat…and eat… and eat. Just remember that “eating for two” comes with the “responsibility for two” as well. More important than that second helping, is the heath of those first (and possibly second) heartbeats inside of you. This doesn’t mean you can’t enjoy yourself this winter; knowledge is always power and maybe just reading this blog post will help keep you a little healthier, now that you know what to expect.